While this catechin is also found in other foods such as garlic, chocolate, certain fruits, and some nuts, you will get the most concentrated dose from drinking green tea. What are catechins? Catechins are a type of anti-oxidants. So what benefits can drinking green tea offer? Let’s walk you through some of the more powerful ones that you’ll want to know about – and not miss out on. Whenever you eat refined carbohydrates, (especially those with a high sugar content), they break down very quickly, causing increased blood glucose levels. If that glucose is not managed correctly, it can quickly become elevated (of particular concern to diabetics), so maintaining control is essential. 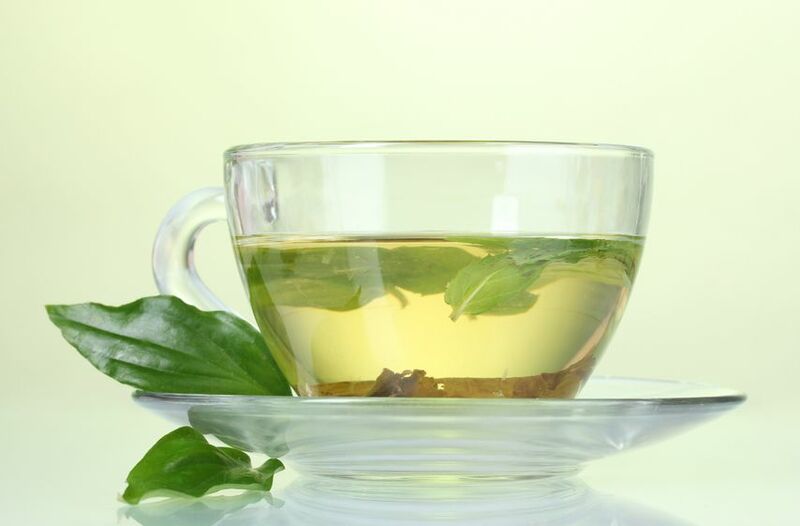 Green tea will help mitigate the insulin response brought on by the consumption of many of these types of carbohydrates. It helps manage this insulin response so you’ll find that you are less likely to experience blood glucose fluctuations throughout the day. For all the dieters out there, one of the most powerful benefits of drinking green tea is its potential to act as an appetite suppressant. So you’ll have greater control over your food intake each day. Hopefully you’re not starving yourself throughout the day, but green tea can help to take the edge off that hunger and with better appetite control, making wise food decisions becomes that much easier. Want a faster metabolism? Start sipping some green tea. Due to the thermogenic effect of green tea, drinking it will improve your resting metabolic rate, meaning you’ll burn more calories on a daily basis-even while sleeping. The more calories you burn each day, the faster fat loss goes, etc.-see how this works in your favor? Controlling your metabolic rate as best you can is clearly the wisest way to approach fat loss-especially when compared to severely restricting your caloric intake and doing hours of exercise to try and boost your calorie burn. All that accomplishes is raising stress hormones (causing belly fat to stay put) and burning your precious muscle tissue for fuel. Instead, get your body burning more calories (and fat) with a bolstered metabolic rate-the natural way. Moving along, another perk that can’t be overlooked when it comes to green tea is the serious antioxidant support it provides (and trust me, it is jam-packed.) Taking in a good amount of antioxidants is your best defense against free radical damage which accumulates throughout the course of the day due to environmental, dietary and lifestyle factors. Free radicals create oxidation the same way an apple turns brown once you cut into it and leave it uncovered (that’s oxidation-and it’s happening inside your body!) Over time, if oxidation from free radicals gets severe enough, the body becomes vulnerable to any number of diseases or conditions. Take in plenty of antioxidants to help prevent this. Many foods are rich in antioxidants; green tea happens to be a particularly strong source. Oxidation isn’t all bad. Drinking green tea provides increased fat oxidation. What does that mean? Simply that by drinking the tea you will train your body how to burn fat more efficiently at rest. Meaning once again, that you’ll see increased fat loss due to an increased resting metabolic rate while also preserving muscle glycogen (your storage form of carbohydrates in the muscle cells) for intense workouts when it’s really needed. Another benefit of drinking green tea (notice how the list is growing?) is that it may help defend against certain types of cancer. Drinking a few cups of green tea each day is a worthy insurance policy against cancer if you ask me. Your heart health is a top priority and while eating a nutritious diet and completing all your challenging workouts will definitely help to enhance your heart health, green tea can give you another big push toward having a healthy heart, adding another layer of protection so to speak. It’s those catechins again that offer strong protection against heart disease, high cholesterol, and atherosclerosis. Inflammation is the basis of all disease. As part of the inflammatory response, substances are released into the body that help return the body to homeostasis. Healthy cells, blood vessels, and other body tissues, can also be destroyed in the process which can eventually lead to serious health concerns such as heart disease, stroke, cancers, and even Alzheimer’s disease. By drinking green tea on a daily basis, you can help to reduce overall inflammation in the body, bringing you to a healthier state and protecting you against the development of these conditions. In one study published by the Journal of Advanced Pharmaceutical Technology & Research¹, it was noted that green tea possessed a marked anti-inflammatory due to its high flavonoid content. But all green tea isn’t created equal. The great majority of tea gardens are sprayed with pesticides and other chemicals. Look for a brand that is certified organic and free of pesticides and chemicals though that may be hard to find. Finally, one last reason to sing the praises of green tea. Each and every day, most of us are taking in high doses of toxins through our environment. As these build up, it causes a good deal of strain on our organs and energy level. By drinking green tea each day, you help to support the body’s natural process of detoxification and with all the toxins and gunk we are surrounded by these days, our liver needs all the help it can get! Detoxing the body, eliminating these toxins is a great way to boost your energy and improve your overall health. Green tea will assist with all of this. That’s why we love it. There are a lot of reasons here to forgo that morning cup of coffee and go for green…tea instead. It’s definitely one beverage that you want to make friends with. ¹Bhattacharya, S. et al. (2012). Evaluation of anti-inflammatory effects of green tea and black tea: A comparative in vitro study. Journal of Advanced Pharmaceutical Technology & Research. Apr-Jun;3(2):136-138.